Activate this card by targeting 1 Effect Monster on the field; negate that face-up monster's effects, that face-up monster cannot attack, also monsters cannot target that face-up monster for attacks. When that monster leaves the field, destroy this card. 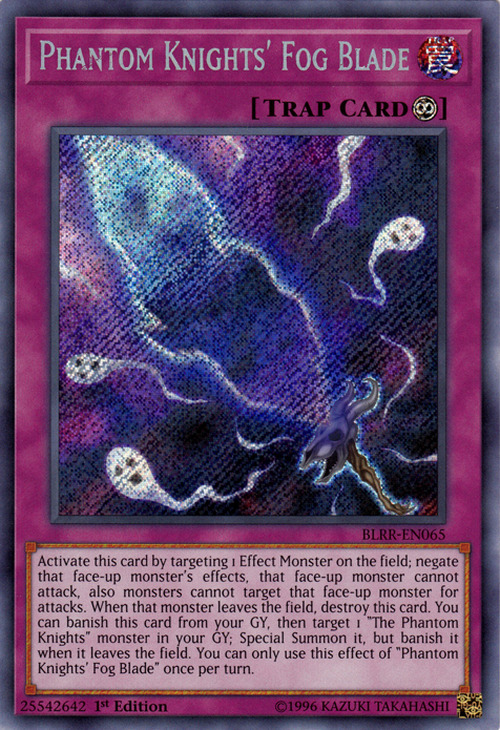 You can banish this card from your GY, then target 1 "The Phantom Knights" monster in your GY; Special Summon it, but banish it when it leaves the field. You can only use this effect of "Phantom Knights' Fog Blade" once per turn.